Situated 8km (5 miles) west of Sligo city and nestled under the famous Knocknarea mountain, this 5,675m of undulating fairways and unforgiving short cuts make it a course to remember. 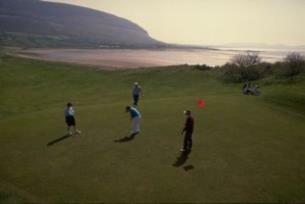 Strandhill Golf Club was founded in 1931 and had a 9-hole course open for play in 1940. Play on the present 18 holes commenced in 1973. The clubhouse has been updated on a number of occasions and is now regarded as one of the best in the West. Situated 8km (5 miles) west of Sligo city, this 5,675m of undulating fairways and unforgiving short cuts make it a course to remember. 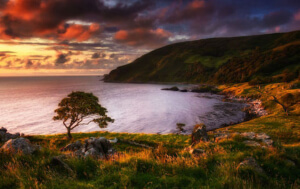 With Knocknarea mountain in the background, it has stunning views of the course, the rolling Atlantic and the setting sun.